"Bahama" and "Bahamas" redirect here. For other uses, see Bahama (disambiguation). 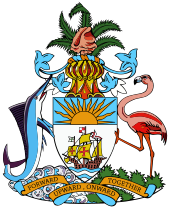 Motto: "Forward, Upward, Onward, Together"
The Bahamas (/bəˈhɑːməz/ ( listen)), known officially as the Commonwealth of The Bahamas, is a country within the Lucayan Archipelago. 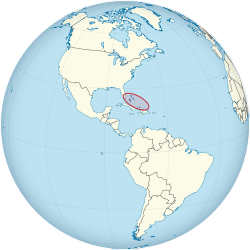 The archipelagic state consists of more than 700 islands, cays, and islets in the Atlantic Ocean, and is located north of Cuba and Hispaniola (Haiti and the Dominican Republic), northwest of the Turks and Caicos Islands, southeast of the U.S. state of Florida, and east of the Florida Keys. The capital is Nassau on the island of New Providence. The designation of "the Bahamas" can refer either to the country or to the larger island chain that it shares with the Turks and Caicos Islands. The Royal Bahamas Defence Force describes the Bahamas territory as encompassing 470,000 km2 (180,000 sq mi) of ocean space. The Bahamas is the site of Columbus's first landfall in the New World in 1492. At that time, the islands were inhabited by the Lucayans, a branch of the Arawakan-speaking Taíno people. Although the Spanish never colonised the Bahamas, they shipped the native Lucayans to slavery in Hispaniola. The islands were mostly deserted from 1513 until 1648, when English colonists from Bermuda settled on the island of Eleuthera. The name Bahamas is most likely derived from either the Taíno ba ha ma ("big upper middle land"), which was a term for the region used by the indigenous Native Americans, or possibly from the Spanish baja mar ("shallow water or sea" or "low tide") reflecting the shallow waters of the area. Alternatively, it may originate from Guanahani, a local name of unclear meaning. The word The constitutes an integral part of the short form of the name and is, therefore, capitalised. So in contrast to "the Congo" and "the United Kingdom", it is proper to write "The Bahamas." The name The Bahamas is thus comparable with certain non-English names that also use the definite article, such as Las Vegas or Los Angeles. The Constitution of the Commonwealth of The Bahamas, the country's fundamental law, capitalizes the "T" in "The Bahamas." Taino people moved into the uninhabited southern Bahamas from Hispaniola and Cuba around the 11th century, having migrated there from South America. They came to be known as the Lucayan people. An estimated 30,000 Lucayans inhabited the Bahamas at the time of Christopher Columbus's arrival in 1492. Columbus's first landfall in the New World was on an island he named San Salvador (known to the Lucayans as Guanahani). Some researchers believe this site to be present-day San Salvador Island (formerly known as Watling's Island), situated in the southeastern Bahamas. An alternative theory holds that Columbus landed to the southeast on Samana Cay, according to calculations made in 1986 by National Geographic writer and editor Joseph Judge, based on Columbus's log. Evidence in support of this remains inconclusive. On the landfall island, Columbus made first contact with the Lucayans and exchanged goods with them. In 1648, the Eleutherian Adventurers, led by William Sayle, migrated from Bermuda. These English Puritans established the first permanent European settlement on an island which they named Eleuthera—the name derives from the Greek word for freedom. They later settled New Providence, naming it Sayle's Island after one of their leaders. To survive, the settlers salvaged goods from wrecks. During proprietary rule, the Bahamas became a haven for pirates, including Blackbeard (circa 1680–1718). To put an end to the 'Pirates' republic' and restore orderly government, Great Britain made the Bahamas a crown colony in 1718 under the royal governorship of Woodes Rogers. After a difficult struggle, he succeeded in suppressing piracy. In 1720, Rogers led local militia to drive off a Spanish attack. 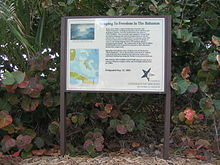 The United States' National Park Service, which administers the National Underground Railroad Network to Freedom, is working with the African Bahamian Museum and Research Center (ABAC) in Nassau on development to identify Red Bays as a site related to North American slaves' search for freedom. The museum has researched and documented the African Seminoles' escape from southern Florida. It plans to develop interpretive programs at historical sites in Red Bay associated with the period of their settlement in the Bahamas. In 1818, the Home Office in London had ruled that "any slave brought to the Bahamas from outside the British West Indies would be manumitted." This led to a total of nearly 300 slaves owned by US nationals being freed from 1830 to 1835. The American slave ships Comet and Encomium used in the United States domestic coastwise slave trade, were wrecked off Abaco Island in December 1830 and February 1834, respectively. When wreckers took the masters, passengers and slaves into Nassau, customs officers seized the slaves and British colonial officials freed them, over the protests of the Americans. There were 165 slaves on the Comet and 48 on the Encomium. The United Kingdom finally paid an indemnity to the United States in those two cases in 1855, under the Treaty of Claims of 1853, which settled several compensation cases between the two countries. Slavery was abolished in the British Empire on 1 August 1834. After that British colonial officials freed 78 North American slaves from the Enterprise, which went into Bermuda in 1835; and 38 from the Hermosa, which wrecked off Abaco Island in 1840. The most notable case was that of the Creole in 1841: as a result of a slave revolt on board, the leaders ordered the US brig to Nassau. It was carrying 135 slaves from Virginia destined for sale in New Orleans. The Bahamian officials freed the 128 slaves who chose to stay in the islands. The Creole case has been described as the "most successful slave revolt in U.S. history". 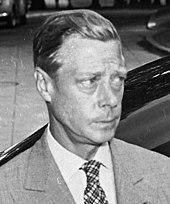 In August 1940, the Duke of Windsor was appointed Governor of the Bahamas. He arrived in the colony with his wife, the Duchess. Although disheartened at the condition of Government House, they "tried to make the best of a bad situation". He did not enjoy the position, and referred to the islands as "a third-class British colony". He opened the small local parliament on 29 October 1940. The couple visited the "Out Islands" that November, on Axel Wenner-Gren's yacht, which caused controversy; the British Foreign Office strenuously objected because they had been advised (mistakenly) by United States intelligence that Wenner-Gren was a close friend of the Luftwaffe commander Hermann Göring of Nazi Germany. The Duke was praised at the time for his efforts to combat poverty on the islands. A 1991 biography by Philip Ziegler, however, described him as contemptuous of the Bahamians and other non-European peoples of the Empire. He was praised for his resolution of civil unrest over low wages in Nassau in June 1942, when there was a "full-scale riot". Ziegler said that the Duke blamed the trouble on "mischief makers – communists" and "men of Central European Jewish descent, who had secured jobs as a pretext for obtaining a deferment of draft". Dean's Blue Hole in Clarence Town on Long Island, Bahamas. The Bahamas Platform, which includes the Bahamas, Southern Florida, Northern Cuba, the Turks and Caicos, and the Blake Plateau, formed about 150 Ma, not long after the formation of the North Atlantic. The 6.4 km thick limestones, which predominately make up The Bahamas, date back to the Cretaceous. These limestones would have been deposited in shallow seas, assumed to be a stretched and thinned portion of the North American continental crust. Sediments were forming at about the same rate as the crust below was sinking due to the added weight. Thus, the entire area consisted of a large marine plain with some islands. Then, at about 80 Ma, the area became flooded by the Gulf Stream. This resulted in the drowning of the Blake Plateau, the separation of The Bahamas from Cuba and Florida, the separation of the southeastern Bahamas into separate banks, the creation of the Cay Sal Bank, plus the Little and Great Bahama Banks. Sedimentation from the "carbonate factory" of each bank, or atoll, continues today at the rate of about 2 cm per kyr. Coral reefs form the "retaining walls" of these atolls, within which oolites and pellets form. The stratigraphy of the islands consists of the Middle Pleistocene Owl's Hole Formation, overlain by the Late Pleistocene Grotto Beach Formation, and then the Holocene Rice Bay Formation. However, these units are not necessarily stacked on top of each other but can be located laterally. The oldest formation, Owl's Hole, is capped by a terra rosa paleosoil, as is the Grotto Beach, unless eroded. The Grotto Beach Formation is the most widespread. Legislative power is vested In a bicameral parliament, which consists of a 38-member House of Assembly (the lower house), with members elected from single-member districts, and a 16-member Senate, with members appointed by the Governor-General, including nine on the advice of the Prime Minister, four on the advice of the Leader of Her Majesty's Loyal Opposition, and three on the advice of the Prime Minister after consultation with the Leader of the Opposition. The House of Assembly carries out all major legislative functions. As under the Westminster system, the Prime Minister may dissolve Parliament and call a general election at any time within a five-year term. The Bahamanian military is the Royal Bahamas Defence Force (RBDF), the navy of the Bahamas which includes a land unit called Commando Squadron (Regiment) and an Air Wing (Air Force). Under the Defence Act, the RBDF has been mandated, in the name of the Queen, to defend the Bahamas, protect its territorial integrity, patrol its waters, provide assistance and relief in times of disaster, maintain order in conjunction with the law enforcement agencies of the Bahamas, and carry out any such duties as determined by the National Security Council. The Defence Force is also a member of the Caribbean Community (CARICOM)'s Regional Security Task Force. The districts of the Bahamas provide a system of local government everywhere except New Providence (which holds 70% of the national population), whose affairs are handled directly by the central government. In 1996, the Bahamian Parliament passed the "Local Government Act" to facilitate the establishment of Family Island Administrators, Local Government Districts, Local District Councillors and Local Town Committees for the various island communities. The overall goal of this act is to allow the various elected leaders to govern and oversee the affairs of their respective districts without the interference of Central Government. In total, there are 32 districts, with elections being held every five years. There are 110 Councillors and 281 Town Committee members are elected to represent the various districts. Selection of the yellow elder over many other flowers was made through the combined popular vote of members of all four of New Providence's garden clubs of the 1970s—the Nassau Garden Club, the Carver Garden Club, the International Garden Club and the YWCA Garden Club. The Bahamas relies on tourism to generate most of its economic activity. Tourism as an industry not only accounts for over 60% of the Bahamian GDP, but provides jobs for more than half the country's workforce. The Bahamas attracted 5.8 million visitors in 2012, more than 70% of whom were cruise visitors. The British Bahamian population are mainly the descendants of the English Puritans looking to flee religious persecution in England and American Loyalists escaping the American Revolution who arrived in 1649 and 1783, respectively. Many Southern Loyalists went to the Abaco Islands, half of whose population was of European descent as of 1985. The term white is usually used to identify Bahamians with Anglo ancestry, as well as "light-skinned" Afro-Bahamians. Sometimes Bahamians use the term Conchy Joe to describe people of Anglo descent. A small portion of the Euro-Bahamian population are Greek Bahamians, descended from Greek labourers who came to help develop the sponging industry in the 1900s. They make up less than 2% of the nation's population, but have still preserved their distinct Greek Bahamian culture. The official language of the Bahamas is English. Many people speak an English-based creole language called Bahamian dialect (known simply as "dialect") or "Bahamianese." Laurente Gibbs, a Bahamian writer and actor, was the first to coin the latter name in a poem and has since promoted its usage. Both are used as autoglossonyms. Haitian Creole, a French-based creole language is spoken by Haitians and their descendants, who make up of about 25% of the total population. It is known simply as Creole to differentiate it from Bahamian English. Also note that the Bahamas was once under British rule and therefore the English taught in the Bahamian schools is still "British-based". According to International Religious Freedom Report 2008 prepared by United States Bureau of Democracy, Human Rights and Labor, the islands' population is predominantly Christian. Protestant denominations are widespread and collectively account for more than 70% of the population, with Baptists representing 35% of the population, Anglicans 15%, Pentecostals 8%, Church of God 5%, Seventh-day Adventists 5% and Methodists 4%. There is also a significant Roman Catholic community accounting for about 14%. There are also smaller communities of Jews, Muslims, Baha'is, Hindus, Rastafarians and practitioners of Obeah. In the less developed outer islands (or Family Islands), handicrafts include basketry made from palm fronds. This material, commonly called "straw", is plaited into hats and bags that are popular tourist items. Another use is for so-called "Voodoo dolls", even though such dolls are the result of foreign influences and not based in historic fact. 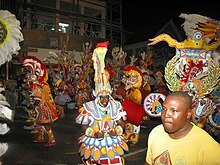 Junkanoo is a traditional Afro-Bahamian street parade of 'rushing', music, dance and art held in Nassau (and a few other settlements) every Boxing Day and New Year's Day. Junkanoo is also used to celebrate other holidays and events such as Emancipation Day. Many dishes are associated with Bahamian cuisine, which reflects Caribbean, African and European influences. Some settlements have festivals associated with the traditional crop or food of that area, such as the "Pineapple Fest" in Gregory Town, Eleuthera or the "Crab Fest" on Andros. Other significant traditions include story telling. The only other sporting event that began before cricket was horse racing, which started in 1796. The most popular spectator sports are those imported from the United States, such as basketball, American football, and baseball, rather than from the British Isles, due to the country's close proximity to the United States, unlike their other Caribbean counterparts, where cricket, rugby, and netball have proven to be more popular. Other popular sports are swimming, tennis and boxing, where Bahamians have enjoyed some degree of success at the international level. Other sports such as golf, rugby league, rugby union, beach soccer, and netball are considered growing sports. Athletics, commonly known as 'track and field' in the country, is the most successful sport by far amongst Bahamians. Bahamians have a strong tradition in the sprints and jumps. Track and field is probably the most popular spectator sport in the country next to basketball due to their success over the years. Triathlons are gaining popularity in Nassau and the Family Islands. Bahamians have gone on to win numerous track and field medals at the Olympic Games, IAAF World Championships in Athletics, Commonwealth Games and Pan American Games. Frank Rutherford is the first athletics olympic medallist for the country. He won a bronze medal for triple jump during the 1992 Summer Olympics. Pauline Davis-Thompson, Debbie Ferguson, Chandra Sturrup, Savatheda Fynes and Eldece Clarke-Lewis teamed up for the first athletics Olympic Gold medal for the country when they won the 4 × 100 m relay at the 2000 Summer Olympics. They are affectionately known as the "Golden Girls". Tonique Williams-Darling became the first athletics individual Olympic gold medallist when she won the 400m sprint in 2004 Summer Olympics. In 2007, with the disqualification of Marion Jones, Pauline Davis-Thompson was advanced to the gold medal position in the 200 metres at the 2000 Olympics, predating William-Darling. The Bahamas were hosts of the first men's senior FIFA tournament to be staged in the Caribbean, the 2017 FIFA Beach Soccer World Cup. ^ "•GENERAL SITUATION AND TRENDS". Pan American Health Organization. ^ "1973: Bahamas' sun sets on British Empire". BBC News. 9 July 1973. Retrieved 1 May 2009. ^ a b c d "The Bahamas". International Monetary Fund. ^ "2018 Human Development Report" (PDF). United Nations Development Programme. 2018. Retrieved 27 October 2018. ^ Official government website. "The Constitution". Retrieved 29 May 2017. ^ Harper, Douglas. "bahamas". Online Etymology Dictionary. ^ Government of the Bahamas "Constitution of The Commonwealth of The Bahamas", Government of The Bahamas, Nassau, 9 July 1973. Retrieved on 18 December 2018. ^ Dumene, Joanne E. (1990). "Looking for Columbus". Five Hundred Magazine. 2 (1): 11–15. Archived from the original on 19 September 2008. ^ "Diocesan History". Copyright 2009 Anglican Communications Department. 2009. Archived from the original on 5 May 2009. Retrieved 7 May 2009. ^ Wertenbaker, Thomas Jefferson (1948). Father Knickerbocker Rebels: New York City during the Revolution. New York: Charles Scribner's Sons. p. 260. ^ Howard, R. (2006). "The "Wild Indians" of Andros Island: Black Seminole Legacy in the Bahamas". Journal of Black Studies. 37 (2): 275. doi:10.1177/0021934705280085. ^ Appendix: "Brigs Encomium and Enterprise", Register of Debates in Congress, Gales & Seaton, 1837, pp. 251–253. Note: In trying to retrieve North American slaves off the Encomium from colonial officials (who freed them), the U.S. consul in February 1834 was told by the Lieutenant Governor that "he was acting in regard to the slaves under an opinion of 1818 by Sir Christopher Robinson and Lord Gifford to the British Secretary of State". ^ Register of Debates in Congress, Gales & Seaton, 1837, The section, "Brigs Encomium and Enterprise", has a collection of lengthy correspondence between US (including M. Van Buren), Vail, the U.S. chargé d'affaires in London, and British agents, including Lord Palmerston, sent to the Senate on 13 February 1837, by President Andrew Jackson, as part of the continuing process of seeking compensation. ^ Williams, Michael Paul (11 February 2002). "Brig Creole slaves". Richmond Times-Dispatch. Richmond, Virginia. Retrieved 25 October 2018. ^ Bloch, Michael (1982). The Duke of Windsor's War, London: Weidenfeld and Nicolson. ISBN 0-297-77947-8, p. 364. ^ "Bahaman Proposes Independence Move". The Washington Post. United Press International. 19 August 1966. p. A20. ^ BIgart, Homer (7 January 1968). "Bahamas Will Ask Britain For More Independence". The New York Times. p. 1. ^ Armstrong, Stephen V. (28 September 1968). "Britain and Bahamas Agree on Constitution". The Washington Post. p. A13. ^ "British grant independence to Bahamas". The Baltimore Afro-American. 23 June 1973. p. 22. ^ "Bahamas gets deed". Chicago Defender. United Press International. 11 July 1973. p. 3. ^ "Bahama Independence". Tri-State Defender. Memphis, Tennessee. 14 July 1973. p. 16. ^ "Bahamas Joins IMF, World Bank". The Washington Post. 23 August 1973. p. C2. ^ Alden, Robert (19 September 1973). "2 Germanys Join U.N. as Assembly Opens 28th Year". The New York Times. p. 1. ^ "40th Anniversary of Snow in South Florida" (PDF). www.weather.gov. Retrieved 13 December 2018. ^ "Caribbean Islands – Bahamas (rev. 2015)". 4 December 2015. Retrieved 4 December 2015. ^ "Weather Information for Nassau". worldweather.org. ^ a b Carew, James; Mylroie, John (1997). Vacher, H.L. ; Quinn, T. (eds.). Geology of Bahamas, in Geology and Hydrology of Carbonate Islands, Developments in Sedimentology 54. Amsterdam: Elsevier Science B.V. pp. 91–139. ISBN 9780444516442. ^ "Bahamas 1973 (rev. 2002)". Constitute. Retrieved 17 March 2015. ^ "Panama Papers". The International Consortium of Investigative Journalists. ^ "The Bahamas – Economy", Encyclopedia of the Nations, Retrieved 21 March 2010. ^ "Contributions Table". The National Insurance Board of The Commonwealth of The Bahamas. 11 May 2010. Retrieved 22 December 2011. ^ Country Comparison "Total fertility rate", CIA World Factbook. ^ "NEW PROVIDENCE". Government of the Bahamas. Retrieved 15 May 2015. ^ "GRAND BAHAMA". Government of the Bahamas. Retrieved 15 May 2015. ^ a b The Commonwealth of the Bahamas (August 2012). "2010 Census of Population and Housing" (PDF). pp. 10 and 82. In 1722 when the first official census of the Bahamas was taken, 74% of the population was European or native British and 26% was African or mixed. Three centuries later, and according to the 99% response rate obtained from the race question on the 2010 Census questionnaire, 90.6% of the population identified themselves as being Afro-Bahamian, about five percent (4.7%) Euro-Bahamian and two percent (2%) of a mixed race (African and European) and (1%) other races and (1%) not stated. ^ Davis, Nick (20 September 2009), "Bahamas outlook clouds for Haitians", BBC. ^ "The Names of Loyalist Settlers and Grants of Land Which They Received from the British Government: 1778–1783". ^ Hackert, Stephanie, ed. (2010). "ICE Bahamas: Why and how?" (PDF). University of Augsburg. pp. 41–45. Retrieved 3 February 2017. ^ Staff, ed. (27 February 2013). "SWAA students have accomplished Bahamian playwright, actor and poet Laurente Gibbs as Guest Speaker". Eleuthera News. Retrieved 1 February 2017. ^ Osiapem, Iyabo F., ed. (2006). "Book Review: Urban Bahamian Creole: System and Variation". Journal of English Linguistics. 34 (4): 362–366. doi:10.1177/0075424206292990. ^ "Religion in Bahamas". Pew Global Religious Futures. ^ Hurbon, Laennec (1995). "American Fantasy and Haitian Vodou." Sacred Arts of Haitian Vodou. Ed. Donald J. Cosentino. Los Angeles: UCLA Fowler Museum of Cultural History, pp. 181–97. ^ "International Religious Freedom Report 2005 – Bahamas". United States Department of State. Retrieved 22 July 2012. ^ Collinwood, Dean; Phillips, Rick (1990). "The National Literature of the New Bahamas". Weber Studies. 7 (1): 43–62. ^ "Team Bahamas ratified for volleyball championships", The Tribune (12 July 2013). Retrieved on 20 April 2014. ^ Sturupp, Fred (12 July 2018). "American football in The Bahamas poised for a new era of exposure". The Nassau Guardian. Retrieved 10 March 2019. ^ "The Bahamas Basketball Federation". The Bahamas Basketball Federation. Retrieved on 20 April 2014. ^ Parrish, Gary (16 June 2016). "NBA Mock Draft 2016: Denzel Valentine takes big dive due to possible knee issue". CBSSports.com. Retrieved 16 June 2016. ^ Fred Sturrup, "American Football Expanding Locally", The Nassau Guardian. 17 June 2011. ^ "From Champions League heartache to paradise... but why are Spurs in the Bahamas for post-season tour?". Daily Mail. London. ^ "Elite Bahamian Education Program – About Us". Frankrutherfordfoundation.com. Retrieved on 20 April 2014. ^ "Golden Inspiration", The Tribune. (9 August 2012). Retrieved on 20 April 2014. ^ "Olympic champion Tonique Williams-Darling looks forward to World Athletics Final". International Association of Athletics Federations (26 August 2004). Retrieved on 20 April 2014. ^ "Ethics: Executive Committee unanimously supports recommendation to publish report on 2018/2022 FIFA World Cup™ bidding process". FIFA.com. 19 December 2014. Collinwood, Dean. "Columbus and the Discovery of Self," Weber Studies, Vol. 9 No. 3 (Fall) 1992: 29–44. Collinwood, Dean. "The Bahamas," in The Whole World Handbook 1992–1995, 12th ed., New York: St. Martin's Press, 1994. Collinwood, Dean. "The Bahamas," chapters in Jack W. Hopkins, ed., Latin American and Caribbean Contemporary Record, Vols. 1,2,3,4, Holmes and Meier Publishers, 1983, 1984, 1985, 1986. Collinwood, Dean. "Problems of Research and Training in Small Islands with a Social Science Faculty," in Social Science in Latin America and the Caribbean, UNESCO, No. 48, 1982. Collinwood, Dean and Rick Phillips, "The National Literature of the New Bahamas," Weber Studies, Vol.7, No. 1 (Spring) 1990: 43–62. Collinwood, Dean. "Writers, Social Scientists and Sexual Norms in the Caribbean," Tsuda Review, No. 31 (November) 1986: 45–57. Collinwood, Dean. "Terra Incognita: Research on the Modern Bahamian Society," Journal of Caribbean Studies,Vol. 1, Nos. 2–3 (Winter) 1981: 284–297. Collinwood, Dean and Steve Dodge. "Political Leadership in the Bahamas," The Bahamas Research Institute, No.1, May 1987. "Bahamas". The World Factbook. Central Intelligence Agency.